Classroom discussion was my favorite part of MAPH. It was nice having an exchange of ideas in a collaborative and personal setting. We were encouraged to learn from our peers and their interpretations of the text at hand were always eye opening. My favorite class was What Are the Humanities For? taught by A-J Aronstein and Kerri Hunt. The class connected the humanities to current events and then showed us how to apply the humanities in our daily lives. Not only did we have thought provoking discussions but we drafted resumes, cover letters and showed how practical the humanities can be post-MAPH. What are you currently doing, and how did you get there from MAPH? 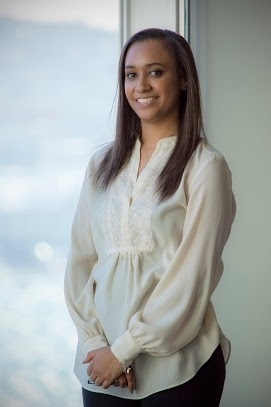 I currently work at Laird Norton Wealth Management (LNWM) as a Client Associate. LNWM manages high net worth individual’s financial resourcesand invests them accordingly to the client’s preferences. We pride ourselves in offering our clients a host of solutions and services to fit their financial needs, ranging from financial planning, to trust and estate administration. Our hope is to create, sustain and retain family legacies through wealth management. Ironically, I never envisioned myself working for a wealth management firm. However, I love the financial industry, and wealth management has provided a wonderful platform to implement my learnings surrounding the fusion of practice and theory for the humanities and economics. I didn’t have a solid plan after graduating from MAPH. I had gone through a rigorous 9 months personally and academically;after I let the year soak in, I decided to return to my hometown of Seattle to immerse myself back into the community through servant leadership. Seattle has been my home base and I was fortunate to be able to call on many friends and past colleagues to help guide me in this transition and gain exposure in Seattle through volunteer activities. In the process of reconnecting with my Seattle community and sharing the story of my past 5 years I was told that I might want to consider Laird Norton Wealth Management because they engage people, stories, and economics. You came into MAPH with a degree in Economics – what was the transition from econ to the humanities like? How did a background in economics inform your study in MAPH? The tran sition from econ to the humanities was really difficult. 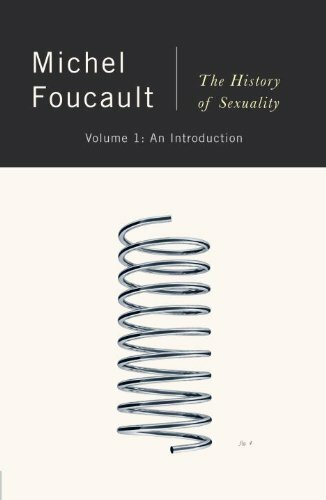 I went from reading Michael Lewis’ Boomerang, [a treatise on macroeconomics meets travel narrative], to Michel Foucault’s The History of Sexuality. The hardest part of the transition was realizing thatI wasn’t [in Core] to add something new to the academic conversation of the humanities (unlike my undergraduate economics thesis) but to become familiar with the current conversations taking place. Choosing the Cultural Policy Option helped support the transition from economics to humanitiesas it fostered the fusion between the humanities and economics, by balancing some of the unfamiliar with a subject much more familiar. For instance our final Cultural Policy project was to analyze individuals’ participation in the arts, particularly within South Chicago communities and arts organizations. We observed individuals’ ability to access the arts as well as researched the different barriers preventing individuals from participating in the arts. Ultimately, I was left wondering what the National Endowment for the Arts considers art participation and how that fits with actual practices. One main demographic question we had in reaching out to different South Side arts organizations was, “Generally, what is the socio-economic construct of your audience?” This is just another example of how the fusion of humanities and economics can be used toward productive outcomes, enabling change and in this case altering considerations of participation in the arts. You are now working for Laird Norton Wealth Management as a Client Associate. How do you see your MAPH study at work in your career in finance? Wealth management only exists through the understanding of people – their life stories, their legacies, and their lifestyles. As a Client Associate, it is my responsibility to understand my clients’ past and present preferences in order to take action today and provide tangible solutions for a meaningful future. The Wealth management stands on a humanistic base but is only sustainable through economics and the accumulation of wealth overtime. You describe your job as a blend of practice and theory: what does this mean for you? I’ve been in far too many conversations where theory and practice are put into an academic debate as oppositions. Coming to MAPH with an economics background, I wondered: why aren’t the humanities and economics analyzed as complements? To me, that seems like a far more productive conversation. Critical thinking and critical analysis are applied tools used regularly in economics. For example, I must use both to provide answers for clients. Furthermore, observational and statistical inquiries are used to advance the humanities by making problems more concrete, making for a more meaningful conversation. Ultimately the arts are governed in practice through economic principles and practices [to ensure sustainability]. I realized through MAPH that with the increase of technology and access to information, and the increasing conversations between disparate fields like economics and the humanities, academic disciplines can be more effective through the synthesis of ideas. Personally, I have found most economic theory to be behavioral, taking a close look individual’s choices and preferences. Similarly, I’ve found the humanities look at historical trends and human needs, making economics realistically effective by bringing the focus back to everyday uses. Traditionally economics and the humanities are considered to be separate, even opposite fields. Would you agree? Or do you see economics and the humanities speaking to each other in productive ways? Not many other disciplines can be the liaison that bridges the gap between human capital, economic capital, and social capital. There are common interests across disciplines that I believe place the humanities as the link to explore those commonalities. Personally, I deal with client conflict every day and tangible solutions only come from an informed discussion, especially when each client has their own agenda of morals and values, rather than solely from economic data or practice. MAPH opened the door of discovery and contributed to my love of this fusion. Both economics and the humanities have become my passion. **Lyn Maxwell White, “The Humanities,” in Handbook of the Undergraduate Curriculum: A Comprehensive Guide to Purposes, Structures, Practices, and Change, eds. Jerry G Gaff, JamesL Ratcliff, et. al. (San Francisco: Jossey-Bass, 1997), 262-279.